The Foodie Space in Pasadena Is A Giant Food Playground - EAT WITH HOP! Wait. Let me take a pic first. If you have ever said these words before eating your meal, this is the museum for you. 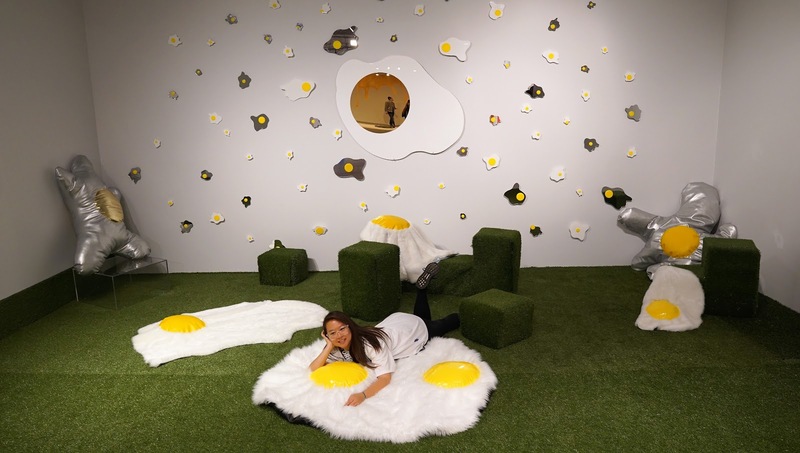 The Foodie Space is an interactive museum, brought to you by the creators of the 626 Night Market, It features giant food to play around with, because we all know, food is funner when you play with it. Right? The giant food are all handmade by artists. Damn. It's a genius idea for those seeking Instaworthy moments. And it's just a fun activity in general to finally be in a world full of giant food! Kind of like that one movie... what was it... "Cloudy with a Chance of Meatballs"! I actually LOVE that movie! This museum is taking over Pasadena Museum of California Art for a limited time. 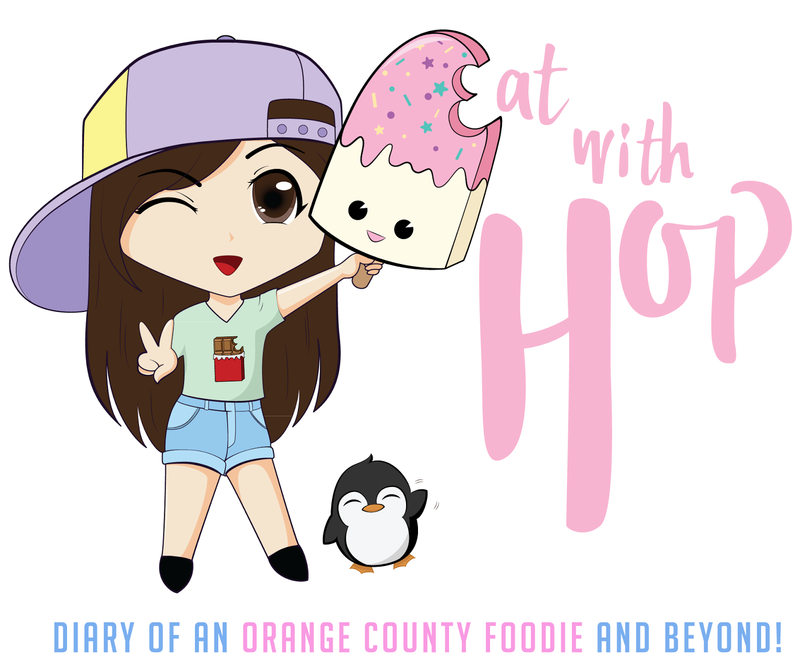 Oh and also, I hope you enjoy my fun food photo diary! I had such a fun time taking tons of photos! 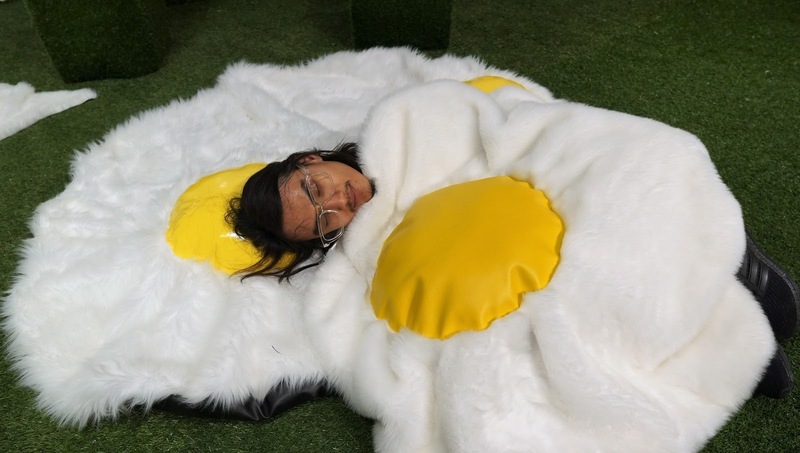 I just love being a lazy egg. "Breakfast is a social construct". Make sure to balance things. There will always be light and dark. If only the sushi rolls were real though. Alright, who wants some soda? The Foodie Space interactive museum! Yes, you can jump on this area, The pizza area! Make sure to take off your shoes though. The chhhhhhhheeeeeeeesy pizzza needs more pepperoni though. What do you think? Who wants some fancy caviar? MEEEEEEE. What about some cod roe? The "Sweet Dreams" chair has a bunch of cute candies up close! So cuuuuuute! Let me invite you to my wedding. These tea cups are delicate, so be gentle when you sit yourself in it. Our love is pho real. Catch me at the next party. If only I knew they had this eggzibit. Because I would have made Kevin and I wear matching Gudetama stuff! Kevin looks so comfortable inside the eggs. hehe. 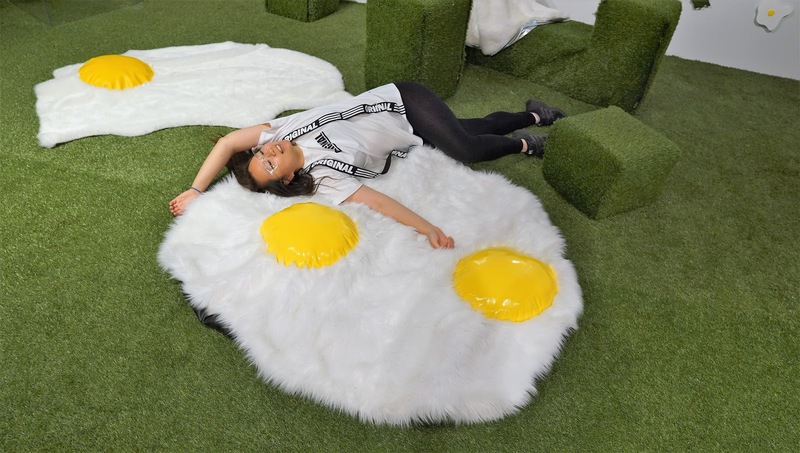 They were basically egg blankets and so so soft and fuzzy wuzzy.